Home to Western Colorado University, Gunnison has grown into a recreation mecca. It still retains and honors its historic tradition as a ranching town. With long and relatively mild summers, Gunnison is a perfect basecamp for mountain bikers, fishermen, boaters, hunters, and adventurers of many stripes. The advent of fat biking has extended the recreation season. 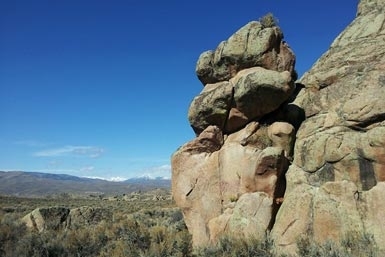 Originally summer hunting grounds for the Ute Tribe, that early history lingers to this day. Gunnison offers some of the best elk hunting units in the state. Next came the pioneers. Many long-time Gunnison families can trace their roots to this phase of migration. The Pioneer Museum documents this history and the subsequent waves of migration that have all shaped the community. Open only in the summer months, it also features a surprisingly large classic cars collection. No mention of Gunnison would be complete without talking about Western. Established in 1901, Western Colorado University is a public, liberal arts university with a private-college feel, offering an education of value. 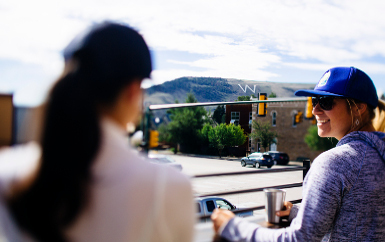 Western students come to Gunnison from across the U.S. to receive an outstanding educational experience. Programs include fine arts, natural sciences, business administration, recreation and outdoor education, environmental studies, exercise science, and energy-related fields. To ensure success both in and out of the classroom, undergraduates have access to research that most universities reserve for graduate students. Graduate degrees, various pre-professional studies and specialized programs also are offered. Student life includes the NCAA Division II intercollegiate athletic program and the opportunity for skiing, bicycle racing and other outdoor pursuits. Western is a crucial part of our community here. Students immediately join our close-knit community and they remain a part of that community long after graduating as alumni. Gary Pierson, Dean of Students, hits on that in his Never-Never Land episode. For a student’s perspective on why the education is exceptional at Western, check out our Never-Never Land Episode profiling Peter Noon. He’s a straight A student with a passion for all of the recreational opportunities in Gunnison. Visit western.edu to see what Western has to offer and to schedule a tour. The Gunnison Valley is home to over 750 miles of mountain bike trails. A good portion of that is in and around Gunnison. Hartman Rocks and the Signal Peak area offer trails that are rideable from town. With a drive to a trailhead you can ride off the Continental Divide to the valley floor below. The Gunnison Growler kicks off the summer riding season in May, but locals take to the dirt as soon as the trails dry out in the spring, usually some time in April. Local shops have all of the intel on what’s riding well so be sure to stop in and ask. During the winter, bring your fat bike, or rent one, and explore Hartman Rocks. Signage at the base area indicates open and closed trails and etiquette for riding. Beyond the mountain biking, Gunnison is also the perfect home base to access the likes of Curecanti National Recreation Area, the Black Canyon of the Gunnison National Park, and Blue Mesa Reservoir– Colorado’s largest lake. The fishing is some of Colorado’s best as well. Gunnison County has the most state fishing records of any county. Making a trip out for the kokanee salmon run in the fall is a bucket list item for every fisherman. The Gunnison Valley offers great boating as well. The Taylor River and the Gunnison River are both popular whitewater rafting options each spring and early summer. A whitewater park just outside of downtown offers a chance to practice on man-made features. The real prize in the local boating culture is the flat water on the Blue Mesa. It’s enormous and offers the opportunity to wake board, water ski, windsurf, and flatwater kayak from several National Park Service marinas. Home to quite a few live music venues, Gunnison offers concerts several nights per week all summer long. The Gunnison Arts Center and the I Bar Ranch are the big ones. More intimate venues include the many restaurants and bars that spread out from downtown. The food scene is great and offers delicious, creative food. As a bonus, you’ll find it’s much more affordable than you’d expect in a typical Colorado mountain town. Visual arts fans will also enjoy the Arts Center’s offerings. Be sure to check out the galleries and shops along Main Street, too.